Keepers welcomed a new arrival to ZSL London Zoo yesterday – strapping Sumatran tiger Asim, who has moved to the Zoo as a new mate for resident female, Melati. Arriving in style on Tuesday 29 January from Ree Park Safari in Denmark, Asim was chauffeured to the Zoo in a custom-designed travel crate filled with top-notch tiger travel essentials - warm straw, climate control, snacks and drinks. ZSL London Zoo’s head tiger keeper Kathryn Sanders said: “Asim arrived yesterday after catching the ferry from France and immediately made himself at home in his new, cosy den. “He got up bright and early this morning and got to work exploring his territory - we’ve spotted him lounging on his heated rocks and even dipping his paws in his new swimming pool. “In the wild, the male always approaches the female’s habitat when looking for a mate: at the moment Asim and Melati can see and smell each other from their separate paddocks - it’s important to let Asim get to know his new surroundings before we formally introduce them. Seven-year-old Asim, whose name means ‘Protector’ in Arabic, was matched with Melati through the European Endangered Species Programme (EEP) for Sumatran tigers, which is coordinated by ZSL London Zoo’s experts and aims to save the species from extinction. Asim arrived on the same day as the Zoo’s previous male, Jae Jae, made his own move to French zoo Le Parc des Félins, where he will hopefully also start a new family. 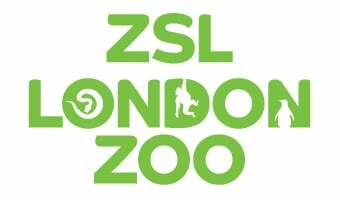 Visit ZSL London Zoo’s newest arrival, Asim and meet the Zoo’s 19,000 other residents this February.